This week, we’ll be looking at some common ways consumers could be misled by supplement manufacturers in the US. Each day we’ll choose a different topic, and dive into a bit of the data from our own tests at Labdoor. Last week, we were disappointed to learn that President Obama signed the the Safe and Accurate Food Labeling Act into law. Proponents called it a win for GMO labelling, but opponents voiced concern that it could be a regulatory loophole for the industry. Essentially, it could allow food companies to hide GMOs behind web listings, instead of printing plain labels. Unfortunately, laws are even looser for supplements. In 1994, congress passed the the DSHEA (The Dietary Supplements Health and Education Act), which allowed manufacturers to easily get supplements on retail shelves without verifying label claims and safety. As a result, vitamins, minerals, and herbs are mostly unregulated. Sometimes the FDA will pick out a worst offender, but the rest of the industry sneaks by. At Labdoor, we’re filling those regulatory gaps by conducting our own tests of supplements bought off retail shelves. In the process, we’ve discovered some general things to be aware of, such as false label claims and manufacturing tricks used to skew chemical analyses. Many of us are paying for ingredients we’re not getting. In our lab tests, we’ve found some deficiencies in multivitamins and herbal supplements. New trendy supplements with heavy marketing are often the worst, because manufacturers race to bring a product to market without attention on quality. Garcinia cambogia is a prime example. 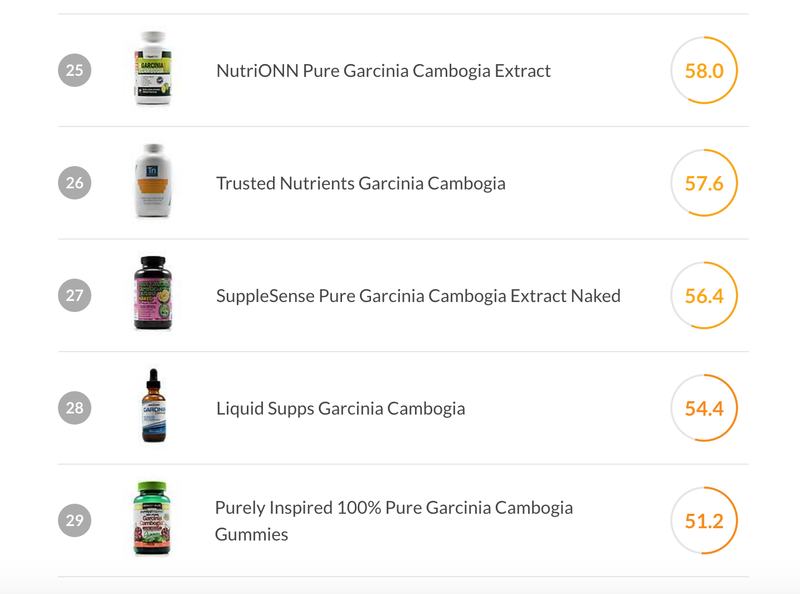 Labdoor tested 29 brands and found 16 had less than 70% of the claimed garcinia content. In one, we found less than 1% of the active ingredient. Other supplements have been on the market for years, but still have quality control issues. That’s the case for melatonin. Some melatonin bottles reported servings of up to 10 mg, but actually contained much less. For example, we found a brand in which the melatonin was almost completely missing. It was 99.8% below the 6 mg label claim — so low, you might not feel an effect if you were to take the whole bottle (please don’t try that!). We found a total of four brands with less than 85% of their labeled melatonin content. On the up-side, another 24 were given grade-A ratings, so there are still plenty of good options out there. Even multivitamins have been coming up short. Maybe it’s confusion over how much we should be getting each day. 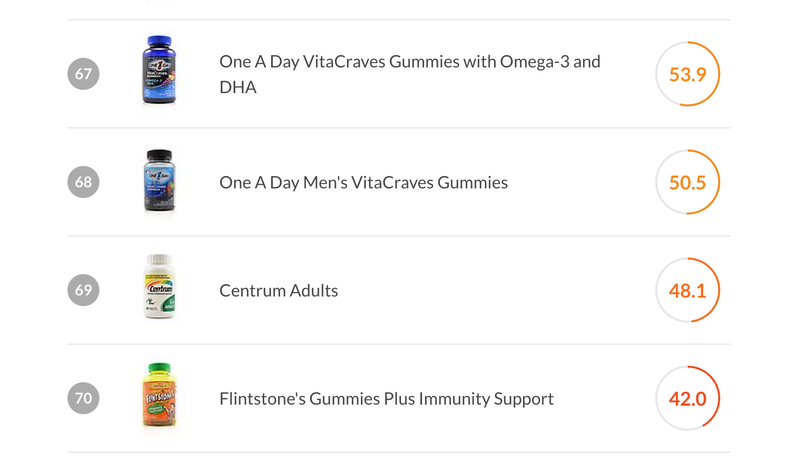 Granted, most of us don’t know our individual vitamin RDAs (recommended daily allowances) off-hand. Even the Labdoor crew has to check the charts from time to time, so don’t feel bad. However, we expect our multi to have the math already figured out. That might not be the case. We tested 68 popular brands and found that many wouldn’t provide the proper RDA. For example, one multivitamin branded for women contained less than 4% of a women’s RDA for vitamin A, 50% of vitamin C, and none of the minerals (calcium, phosphate, magnesium, or iron) met necessary values. Most of that wasn’t clear from reading the labels. In some of these cases, we found that products didn’t even meet their own label claims. It might not be much of a surprise, but chewable vitamins were some of the worst offenders. One big brand had significantly less than its promised zinc and vitamin D, and another was 36% below label claims in vitamin A. Unfortunately, the FDA can’t test these products ahead of time, and rarely holds manufacturers accountable for their label or advertising claims. It’s upsetting for the consumers too, because we could do better. But we do have power to change the industry when we vote with our wallets. If we all pay attention and buy from reputable brands, we’ll foster an industry that thrives on doing well by its customers. In our next parts, we’ll dive into poor quality fish oil supplements, protein spiking, and more. Please click the ❤ below if you liked this article, comment if you have questions, and follow us for new stories!